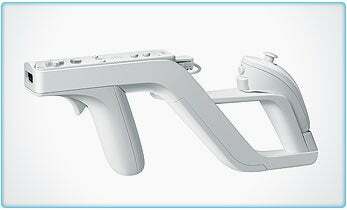 The Wii Zapper is a piece of plastic that holds the Wii's Wiimote and nunchuk together like a gun, for shooting games. $20 bucks with software. There's a wheel coming for Mario Kart, too. newcomers compete together. Launches globally in early 2008.
pipeline that will use this dynamic new interface. Launches 2007.